GERMANY: Vestas has won its second contract for its latest generation V112 3MW turbine, only a week after part of a blade fell off a prototype in testing. The contract is with German developer Prokon for 17 turbines to be used on a wind farm in Mecklenburg-Vorpommern, Germany. Delivery is scheduled for the end of 2011. However, the V112 has been in the news recently following Vestas’ admission the turbine suffered a setback in testing. According to reports, a 6-metre to 7-metre portion of a blade broke off the prototype yesterday. After an investigation, Vestas said the failure was down to ‘human error’ as the blade was manually manufactured. The failure came only weeks after Vestas signed a deal with a group to supply 140 of the turbines for a 420MW project in Australia, which will be the largest in the southern hemisphere. Responding to questions at the time questions over whether the turbine had been tested enough for such a large project, Vestas president Ditlev Engel insisted the turbine had been thoroughly tested. 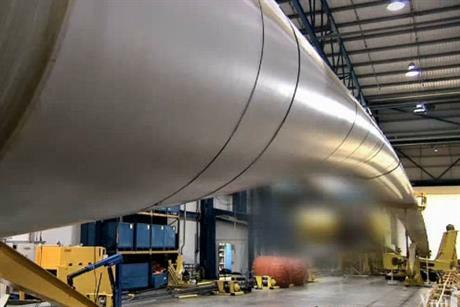 Engel added that he was "very confident" it was ready to be installed on a wind farm of this size.